New hibiscus ornament design in birchwood. Hibiscus ornament design in solid koa wood. Hawaii's state flower, the yellow Hibiscus, was the inspiration for my newest ornament design. 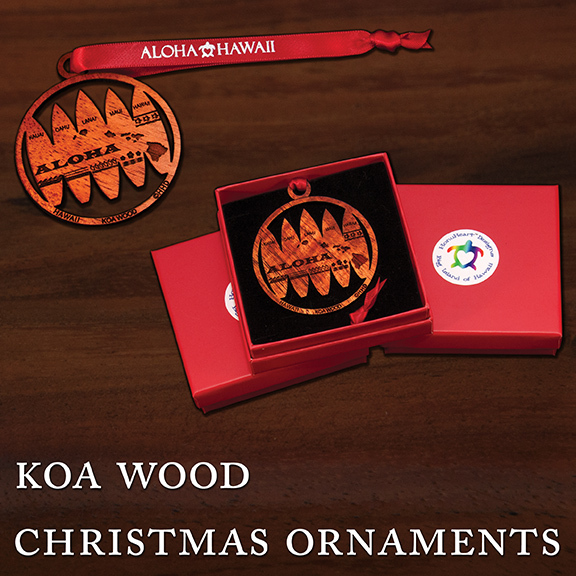 Koa ornaments going out to the Royal Kona Coffee visitor center! Mahalo! Please note: We are open today til 4 PM. We will be closed on 12/24 and 12/25. Merry Christmas! Lovely return customer came to the shop wearing the Aloha bar necklace! Mahalo!